The Georgian broadcaster GPB has nominated the group Nika Kocharov and Young Georgian Lolitaz to represent Georgia in Stockholm. 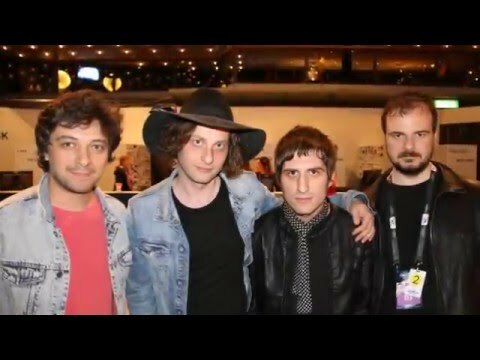 This group is not a girl band as the name suggest, it consists of four males. Therefore GPB has made a TV show, where the televoters could vote for their favourite out of five songs. The Georgian entry is called “Midnight Gold”. The group consists of Giorgi Marr (bass guitar), Levan Shanshiashvili (guitar) Dimitri Oganesian (drums) and Nika Kocharov (guitar and singing), they are all from Tiflis, the Georgian capital. The band has been founded in the year 2000 and is specialized on Indie-Pop with Grunch and synthesizer elements. The song might appear a bit unusual for a Eurovision entry as the group is following its own special style. The Britpop song “Midnight Gold” includes sounds of an e-guitar and organ, very cool though. This would be the music in a nightclub in London or New York. The song is about the morning after a great night out. 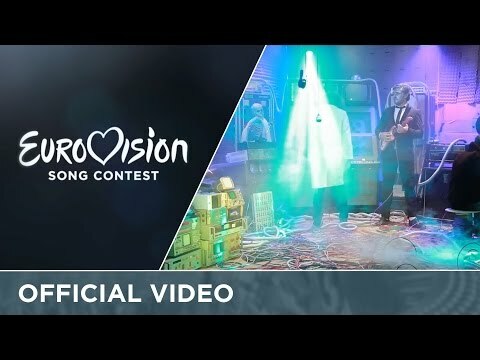 With this entry Georgia falls out of the usual ESC music genre. But this is another proof that all music styles can be found in the Eurovision Song Contest. This big question be, is Europe ready for this? Georgia’s first year in the Eurovision Song Contest was in Helsinki 2007. With a great debut song “My Story” by Sopho, Georgia was celebrating its debut in the ESC. Armenia joined one year earlier and Azerbaijan another year later. It’s considered as great enrichment having the Caucasian countries in the contest, as they mostly bring high quality entries and a big passion for this event. Of course not many people are aware of the music scene from this part of the world. Therefore the ESC is the perfect platform to get the world’s attention. Last year in Vienna, there were 195 million TV spectators. This year in Stockholm there might a bit more as there are 43 participating countries including Australia and China is watching as well. The Georgian entries were always surprising, and Georgia has reached the Grand Final six times. A Top10 rank could be reached two times, the chance for this is statistically at 22%. Due to the fact that the Caucasian countries are located in the very south east corner of Europe, the neighbour countries like Kazakhstan, Turkmenistan and Iran do have an impact in the musical influence in an unequivocally strong way. Therefore it’s a pleasure to watch songs and performances from the Caucasian countries with such a great creativity, as this kind of music is not that well known in Western Europe. But there are also modern tunes as well. The most outstanding song was the debut entry “My story” by Sopho in 2007, which reached a remarkable 12th rank in the final. Last year the strong and unusual song “Warrior” by Nina Sublati made an exceptional good result: 11th place in the Grand Final.